N.B. – Please note as of early October 2018 this service has been discontinued. Here at Honest Betting Reviews we like to continue following services to check that they carry on warranting passed ratings. So having continued to monitor Rod’s Runners, we can report that it has performed excellently since our review ended too, racking up another 520 points profit. All in all since we have been proofing the tips, Rod’s Runners has made over 740 points profit, which would be over £7,400 profit to just £10 stakes. That includes hitting a 110/1 winner at Betfair SP just the other day, and comes on the back of a number of massive-priced winners including at 60/1 and 33/1. As we said in our original review, this is a service you need a big bank and good nerves to follow, as they target long-odds shots so the strike rate is lower than with some other services. But if you are comfortable with that then you could be enjoying some fantastic returns with this one. It is looking like this could become one of the very best tipsters out there if it can continue producing these kind of results over the long term and we will be following it with interest. You can check out Rod’s Runners here for just £1 for a 10 day trial. Rod’s Runners is a horse racing tipster from the reputable Betting Gods platform. We have completed a three month trial of the service and it has been a roller-coaster ride to say the least! At one point we were 172 points down at advised prices, only for things to turn around and finish with a profit of 221 points. At Betfair SP we were actually 260 points down at one point, which would have been the entire advised bank gone! For some people, a wild ride like that would be too much and they would not have stayed with the service, but it does show you the importance of a long-term approach to betting. The service is very high volume, with an average of 20 bets per day, so you need to dedicate the time to placing those bets. Overall we have awarded Rod’s Runners a PASSED rating as it did finish with a profit of 221 points which is very good, but this is a service that will not be to everyone’s tastes. Firstly you need to have a large betting bank and a tolerance for long losing runs, as the strike rate is low at just 10%. Then as we say, you need to have time to place an average of 20 bets per day. If you are willing to accept both of those things, then the rewards for following Rod’s Runners have been high so far and clearly he does seem to have an edge on the market in identifying value horses. Ease of use: As we say it is quite a time-consuming service to follow with around 20 bets per day. Usually there is an evening e-mail with the selections for the next day, plus a morning one with further selections for that day. Availability of prices: There is generally not too much stress on prices early on, but over the course of the day they do tend to get pushed in, so it is advisable to get your bets on as early as possible. There was a big difference between the advised prices and Betfair SP results, with the latter returning 79 points versus 221 with the former. Strike rate: The strike rate during the trial was 10%, which is quite low and there were some long losing streaks to contend with – some 30 and 40 bet losing streaks for example. Advised Betting Bank: A 250 point bank is advised for following the service, but we felt that was quite a bit too low given that we went 172 points down at advised prices and 260 points down at Betfair SP. We think a 400 point bank should be used when following the service. Subscription costs: The subscription costs are £1 for the first 30 days then £39.95 per month, £99.95 per quarter or £479.95 for a lifetime subscription. Rod’s Runners is one of those services that won’t be to everyone’s tastes. You need to have a high tolerance for risk and be able to endure long losing runs and drawdowns in your bank if you want to follow the service. At the same time, you will need the time to be able to place around 20 bets per day, which can take upwards of half an hour. If you have these things, then the rewards can be very high, as we saw during our trial with a final total of over 220 points profit. So ultimately it is a decision for you as to whether this is the sort of service that will suit your betting tastes, but based on the results of the trial overall we are happy to award Rod’s Runners a PASSED rating. There are two main things to note from the progress of Rod’s Runners so far. The first is that given the fairly horrendous results experienced by the service from the start of our trial in mid-September until the end of October, most punters would have abandoned the service at that point. At the end of October we were over 170 points down to advised prices and over 250 points down at Betfair SP. With a bank of 250 points advised for the service, that would actually be the entire bank gone if you were backing at Betfair SP. So as we say, the vast majority of punters would have long left the service by that point. However, in a remarkable turnaround, Rod has managed to recover all the losses at advised prices and is now level at advised prices. At Betfair SP he has recovered to 106 points down. So the second point is that any punters who did stick with Rod would have been rewarded by winning back most, if not all, of their losses. It shows you therefore the importance of taking a long-term approach and having a big enough betting bank. For most gamblers it would be simply too much to stomach a 150-250 point loss and that is understandable. But the more hardy ones can be rewarded sometimes as we have seen here. In any event, it seems clear that the service is not practical to follow at Betfair SP so only those with access to multiple bookie accounts should consider this service. Hopefully the positive run will have continued by the time of our next update. It’s been a thoroughly rotten start to our trial of Rod’s Runners, which has lost a rather shocking 56 points so far to advised prices. The only small piece of good news so far is that we are doing a little better at Betfair SP than at advised prices, with 51 points lost so far. This is a very high volume service, with over 300 bets placed so far after just three weeks, so it is easy to see how losses (and conversely profits) can stack up very quickly. Hopefully by the time of our next update we will be able to report that it is profits rather than losses that are stacking up. Today we are commencing a new trial of a horse racing tipster here at Honest Betting Reviews. The service in question is called Rod’s Runners and comes from the reputable Betting Gods stable of tipsters. Having followed horse racing since his days at university, Rod has apparently gone from amateur punter to professional gambler after spending years perfecting his craft and spends many hours each day studying the form. We are particularly excited by this trial as the results achieved to date look pretty outstanding. Since launching at the beginning of May, Rod’s tips have made a whopping £950 per month profit to just £10 stakes! That is pretty incredible and although over a short period of time, is one of the highest points totals we have ever seen. The return on investment of the tips so far is over 25% which is excellent going. The strike rate is quite low at a tad over 15%, which indicates this is a service that looks for long-odds winners. What is interesting to us about that is the possibility of good results being achievable at Betfair SP, since at long odds you tend to get better value at BSP. Of course if the tips become really popular then this may become negated somewhat. In any event, it is worth investigating under a live trial and to see how prices hold up, so we will kick off a three month trial of this asap. 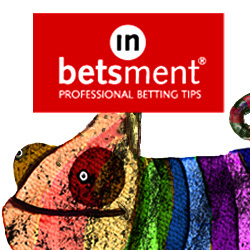 Just a warning that it is quite a high volume service, with 5-10 bets per day, so be ready for that if you do sign up. Anyway, should be an interesting trial either way and we are keen to get going on this. Results will be posted here periodically. In the meantime you can check out Rod’s Runners here.